There is a wide range to enjoy throughout the Granite City and around the Shire. Below we have reviewed several of our favourite with menus, photographs, prices, facilities, etc for each review. For one of the top places to eat in Aberdeen why not treat yourself and loved ones to lunch aboard the Belmond Northern Belle Train. It arrives at our train station several times a year and takes passengers to top Scottish locations such as the Isle of Skye. 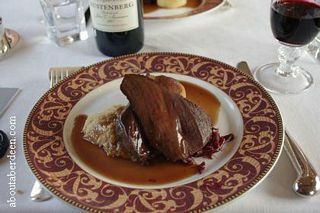 During the train trip passengers are treated to fine dining and wines with silver service with food cooked by top chefs. Read our Afternoon Tea page for reviews of this meal treat.  If you would like listed on this where to eat Aberdeen page for free then please contact us. For a delicious and all you can eat buffet visit the Nazma Tandori on Bridge Street. At the time of writing a three course buffet lunch with tea, coffee and after dinner chocolates costs just �7-50. Starters include delicious and chunky spicy chicken, garlic mushrooms and pilau rice. The main meal for this buffet lunch Aberdeen has three choices which include chicken and lamb and always have a mild dish, slightly spicy dish and a hot chilli dish. Visitors can take a mixture of all or any three and eat as much as they like. Puddings include melon kulfi, banana fritters with syrup or vanilla ice cream. A choice of garlic, plain or almond nan bread is also available in the price of this award winning restaurant. Alternatively customers can order from the Nazma Tandori full menu. One of the lovely things about visiting them is the silver service and cloth napkins that are used making this a real treat. The waiters are very attentive and most helpful. There is never any rush to leave though they do close at 2pm. The coffee is generously served in a large glass pot and is kept warm over a gentle paraffin heater at the table. We would go as far as to call this the finest cup of coffee in the area. Read reviews of the top Scottish restaurants on the our Michelin Star page. Stage Door Aberdeen is a wee gem where a warm welcome and relaxing setting awaits its diners. It is conveniently located within walking distant of His Majesty's Theatre and the Music Hall and is noted for its pre-theatre meals and after performance meals. We are always asked upon arrival if we are taking in a show and what time the performance is so that we can be assured for leaving this restaurant Aberdeen in good time. Our recent meal was a set two course for �14-90. Our party enjoyed starters of the soup of the day which was homemade potato and leek served with fresh warmed rolls. The main meal of beef stifado with rosemary roast potatoes was so delicious and invoked memories of holidays in Cyprus, yet this tasted far more tasty, even without the Mediterranean sunshine, and was a real winter warmer for a cold night. One member of our group could not find anything to please her on the menu and the chef kindly, and with no fuss, took an order for a chicken dish cooked to her liking. As with the other items on the menu the pasta dish was generously proportioned and well flavoured. Two of our party enjoyed a pudding of pavlova filled with berries rather than their starter. There was an option of a three course meal for only �18-90. The later meals are priced differently and are set meals with several options for the starter, main and dessert and are still reasonably priced when compared to others. The drinks are reasonably priced with a perfectly mixed gin and tonic being served with crushed ice and slice of lemon and lime. An after dinner glass of port was just �3. The staff are ever so efficient without being intrusive and there was no waiting around to order or being served. The decor is of a late 1900s Parisian style and the floor is of wonderful varnished floorboards. It is said that a clean restaurant can be judged by its restrooms and the toilets were spotless. Our team found the chairs to be comfortable with plenty of room between tables. If we were to find fault for this review it would be to advise that there is no disabled access and there are two flights of stairs to climb to reach them. The exercise is worth the effort though, they have to be one of the best. They can be found at 26 North Silver Street. We could not find their website but they do have a face book page. Their telephone number is 01224 642111. Nando's Chicken is a favourite with us, especially after a visit to the Cineworld cinema at Union Square Shopping Centre where this can be found opposite. The Nando's chicken is tasty and filling and represents great value. We enjoy the chicken wings or the half a chicken meal deals which come with sides such as creamy mashed potato, macho peas, chips, corn on the cob or garlic bread. Nando's chicken does the creamiest mashed tatties we have ever tasted. Other dishes include burgers, wraps, and toasted pittas in a selection of fillings and dressings. For the thirsty there is an unlimited fizzy drinks machine that you can help yourself too, though do try the refreshing fresh mango quencher. If you have the munchies and want to have nibbles before your meal then Nando's chicken is the place for you. Their starters are very moreish such as the irrestible peri-peri flavoured mixed nuts of almonds, cashews and macadamias and their spicy mixed olives. The peri-peri sauce is a feature of Nando's chicken and there are three flavours ranging from medium, hot and very hot. We have not been brave enough to try the last two but do like their other flavour of lemon and herb which is refreshing on a summer's day. Do remember to join their loyalty card scheme where you collect stamps to get a free meal. It has waiter service when you enter and to bring you your food. However part of the Nando's experience allows you to order at the counter and take your own drinks and starters to the table. Definitely one of the top ten we like to visit regularly. Handmade Burger Co is conveniently located on the first floor of the Union Square Shopping Centre and in our opinion cooks the best burgers with the widest range. The burgers are cooked fresh and handmade on the day and are served with salad. Chips are extra and are worth paying that little bit more; they are chunky and crispy. I think they double fry them. With a choice of over 40 burgers I always find myself drawn to the Jimmy's Farm Hamburger or the Moroccan Lamb burger. Unlike others we have been to the rolls are definitely not like limp fast food rolls, but are bouncy and fresh, warmed and have tasty sesame seeds on top. You will pay much more than the average fast food burger chain, but it really is worth the extra expense to taste burgers how they should be cooked and served. We have always had a warm welcome and on our first visit were a bit surprised that we had to order our own food, pay our bill upfront and collect our own drinks from the bar. However after repeated visits we soon got used to it and have filled up their loyalty card for free drinks and burgers making this one of our top places to eat Aberdeen. The waiters still bring the food to your table and come back to check your meal is enjoyable. A wonderful Nepalese Restaurant can be found at Palmerston Road with convenient parking at Union Square Shopping Centre and a short walk from the side entrance. This is the Gurkha Chef where a warm welcome awaits diners. The Gurkha Chef is on one level with plenty of space between tables so is ideal for those with a disability or with pushchairs or buggies. The chairs at each table are ever so comfortable and padded making this a great place for a leisurely lunch or evening meal. What we like about the Indian dishes at Gurkha Chef are that they are not simply meat and curry like some but include chunky portions of vegetables such as peppers, tomatoes, spring onions and onions to give a mixed taste. The food is deliciously spiced without being overpowered and the portions are huge. So much so that we only order one portion of rice between two people. Even the rice, such as mushroom fried rice, has generously cut portions of veg. Favourite starter dishes which we order during most visits to the Gurkha Chef include the Momo lamb dumplings which are served with a tasty tomato and sesame chutney and Chatpate Aloo which are tangy and crispy baby potatoes mixed with tamarind chutney, sweet yoghurt, onions, green peppers and served on a small naan bread. Do try the Gurkha special curry with is a medium dish made with lamb or chicken and has an appetising mixture of fresh tomatoes, capsicum, ginger, garlic, fresh coriander, peppercorns and spring onion. A historical Gurkha curry is the famous Railway lamb which was traditionally made for the British when the railway in Nepal was being made. Railway lamb is a medium curry with baby tatties cooked with coconut, curry leaves, freshly ground spices, spinach, black cumin and garlic. Gurkha Chef is tastefully decorating with some stunning art of Mount Everest and the huts at Nepal. There are images of the Kukri, the Gurkha knife, on the windows and walls and even a real Gurkha slouch hat hanging on the wall. As with the soldiers of these famous regiments the service is attentive, efficient and polite. The opening hours can be found at www.gurkhachef.com where there is a full menu. Phone 01224 586005 to book a table. Zizzi Aberdeen is on the first floor of the Union Square Shopping Centre conveniently next to the escalator and lifts. This is on one floor with easy access for the disabled and those with pushchairs and prams. It is beautifully decorated and lit and has a unique feature of rustic trees being used as a wall feature. We found their staff to be polite and helpful and the food superb. Calamari is served in several places nearby and this the most crispiest with a delicious garlic and basil dressing. The inclusion of a wedge of lemon helped flavour and already flavoursome starter. The presentation of meals adds to this enjoyable experience and we enjoyed seeing our calamari served in a stylish metal bucket lined with replica Italian newspaper. Portion sizes are generous as we discovered when one starter of garlic and rosemary bread arrived on a rustic wooden board and there were six large pieces. As a main course we enjoyed a sea bass al vino which was served with a large portion of roasted potatoes with a herb seasoning. The accompanying pan fried baby plum tomatoes and the fish sauce gave a real taste of Italy. We didn't have room for desserts but intend to return to sample their puddings for this Aberdeen restaurant review. Choices include tiramisu, a range of tortes and chocolates sweets and tarts. Their opening hours are from noon until 11pm each day except for a Sunday when they close at 10:30pm. For more information please visit www.zizzi.co.uk or telephone 01224 593 173. The new Carluccios in Union Square is worth a visit. We recently enjoyed Tortelloni De Cervo, a venison filled pasta, which had a great soft meaty texture. Do try their rosemary potatoes as a side dish. It was followed by a dreamy moist chocolate pudding of cioccolato fondente with homemade vanilla ice-cream. Portions were filling and the staff were lovely, explaining the different Italian dishes and making sure we had all we needed. Royal Hotel Stonehaven is about a twenty minute drive from our city centre and is conveniently located on the main road of Stonehaven, Allardice Street, with ample parking in the car park opposite the building. This 18 bed hotel has its own bar and large dining room. The Royal Hotel Stonehaven is quite intimate and has relaxing settings with a mixture of tables and chairs and leather sofas for its dinners. The beautiful watercolour paintings of Stonehaven and the surrounding Mearns countryside add to the ambiance of the Royal Hotel Stonehaven. Meals can be ordered at the bar or the table from the helpful bar staff and waitresses. We enjoyed a garlic bruchetta and haggis fritters for starters and chicken burger with bacon and mozzarella cheese served with chips and a wonderfully creamy beef stroganoff. The plates were large and the portions filled each dish meaning we had no room for puddings which was sad because they sounded delicious and started at only �2-50. Our starters cost �5-75 and �3-95 whilst the main courses cost �8-95 and �9-95. An appletise drink was �1-55 and the naughty lunch time gin and tonic was �3-15. The large fireplace with imitation fire would make a welcome warmer for a drink and meal prior to the Stonehaven Hogmanay Fireball Ceremony or after an active walk to see the nearby tourist attraction and much loved Dunnottar Castle. The wall of kids drawings and the extensive children's menu shows how children friendly this is for families. Wagamama was awarded the top of the shops award from the Union Square Shopping Centre inaugural Retailer Awards. The most sought-after prize of the evening, for Best Retailer of the Year, was awarded to them. This popular place to eat Aberdeen serves pan-Asian food. The awards were based on results of a mystery shopper programme undertaken this year. On each individual shopper visit, retailers were awarded points in areas such as ability to give a personal service, deal with specific situations and going the extra mile to be helpful. They picked up 100% of available points during its mystery shopper sessions. Last night's event recognised the outstanding customer service achievements of 11 retailers. It was a genuine pleasure to see teams receive these thoroughly deserved accolades. Like all those represented at the awards, the team have worked incredibly hard to deliver a superb customer experience. We couldn't be more delighted to receive the Retailer of the Year award. Customer service is intrinsic in everything we do and it's just brilliant to see the efforts of the team recognised. One award of the evening was not related to the mystery shopper programme. The Community Award recognises retailers for their commitment and level of involvement in the local community. Starbucks Coffee was the winner of this category. Pictured below is Andrew McKenzie (manager) and Alexandra Goldea (assistant manager). Our reviews are for guidance only and are based upon family meals and reviewed at the time of our visit(s). We cannot take any responsibility for change of prices, menus, management, etc though we do try to keep each Aberdeenshire restaurant review up to date and with accurate information. We cannot take any responsibility or liability for any loss or damage which may occur because of the information we provide. Links are for information only and we cannot take any responsibility for external links and their websites nor endorse their services. More information can be read on our Disclaimer Policy.